Hanuman is considered as the source of devotion, power and energy. We can fulfill our wishes by worshiping Hanuman. 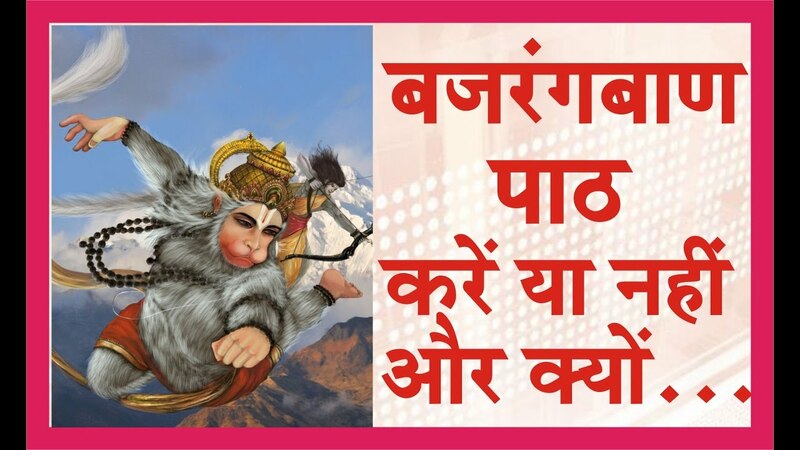 Bajrang Baan is the unfailing use for enemy, disease and threat. Doha, chopai and every beej psalm is mentioned in Bajrang Baan. This makes is very powerful. Bajrang Baan should be done in special conditions. 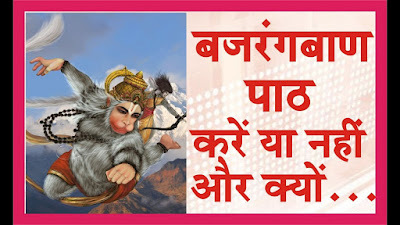 One can chant Bajrang Baan when health is not good and cannot know the reason or there is Mangal dosha and it creates problem or if you face debt and litigation problem or one face problem due to negative energy or one faces problem due to surgery or blood. Take sankalp of Bajrang Baan to fulfill the wishes. Start Bajrang Baan on Tuesday or Saturday. Light one ghee lamp. Wear red or orange color clothes. Sit on red or kush bench and do meditation of Hanuman. Then, start your prayer. Chant path in once. Follow purity and brahmachary during the path. Donate laddoo or jaggery after chanting Bajrang Baan. Light guggle in home. Chant “Om Hanu Hanu Hanu Hanumant Hathely, Barhi Maru Vajra Ki Keel”. It is used to chant calm the enemies. Chant “Jay Jay Jay Hanumant Agadha Dukh Pavat Jan Kehi Apradha”. It avoids the grief of life. Chant “Om Cham Cham Cham Chapal Chalanta Om Hanu Hanu Hanu Hanu Hanumanta”. This psalm gives stability in life. Good Luck: Donate halva-puri on Tuesday. This avoids property related problems.